Kick off the holiday season right and participate in Giving Tuesday on November 28! Join us in celebrating the global day of giving by creating positive impact in our communities. 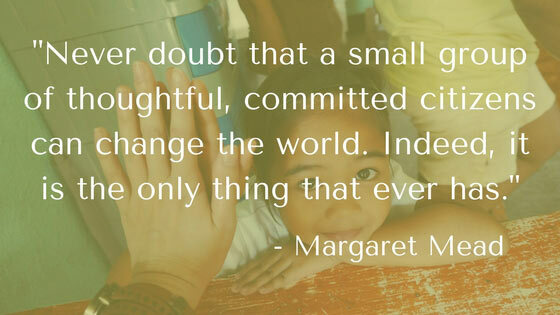 Giving Tuesday is about working together to make a difference. How will you give this Giving Tuesday? Give your time on Giving Tuesday and volunteer! With thousands of unrepresented litigants across the state, there’s an urgent need for pro bono representation. Don’t feel comfortable in a courtroom? 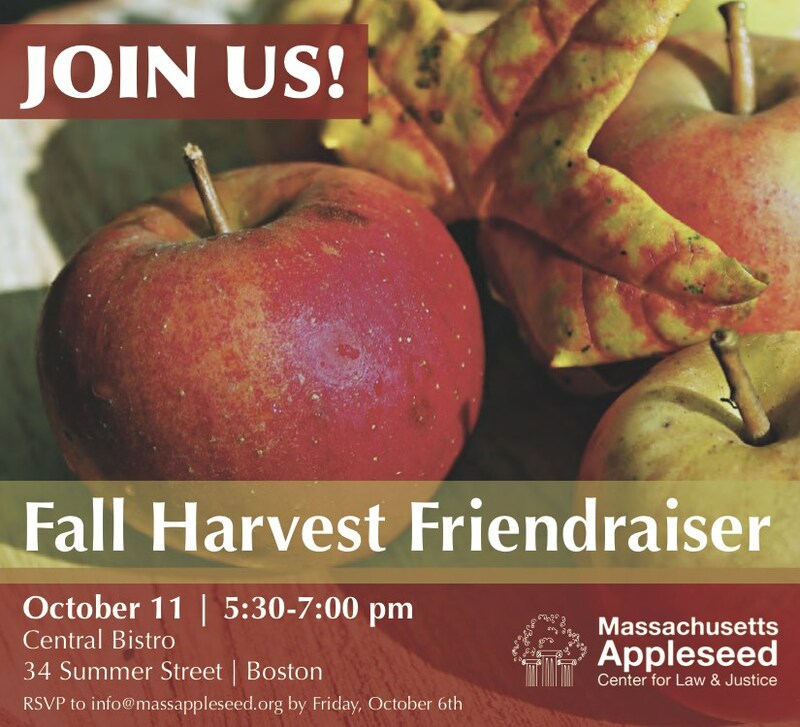 Contact us at inquiry@massappleseed.org for volunteer opportunities at MA Appleseed. We welcome any skill set, from research, to legal expertise, to marketing, and everything in between! Give a gift to support access to justice in Massachusetts! We envision a world where everyone gets their fair day in court, regardless of how much money they have or what language they speak. Your generosity can make this vision a reality. Join the movement and give back on November 28! This year, we’re taking part in the Newman’s Own Foundation 500k Holiday Challenge! Participating organizations compete for up to $500,000 from when the Challenge launches on November 21, 2017 to when it ends on January 3, 2018. Join us for the #GivingTuesday Bonus Challenge, where the organization that raises the most on November 28 will win $50,000. Click here to create your own fundraiser to spread the word and support our cause! Your voice is your most powerful tool – so use it! Share on Facebook and Twitter why you care and what inspires you to give. Enter the #MyGivingStory contest to win up to $10,000 to donate to a charity of your choice, post a pic of you volunteering, or reach out to friends and family – why do they give? Start a conversation online and be sure to tag us @MassAppleseed! For more information, please contact Madeline Poage, Development and Communications Assistant, at madeline@massappleseed.org. The legal needs of our communities far exceed the legal resources currently available — especially for those unable to afford to hire a private attorney. Many exciting efforts are underway to address this problem in Massachusetts and across the country. One thing is clear: we will need creative approaches and consistent collaboration to make a real and lasting impact on the systemic inequities that render legal help inaccessible for so many. Join us as we step back to assess this panorama, look to the horizon, and then work together to brainstorm solutions. In addition to a wide range of participants including private attorneys, legal service providers, court personnel, thought leaders, social services organizations, and community groups, we are proud to be welcoming Katherine Alteneder of the Self-Represented Litigation Network, Supreme Judicial Court Chief Justice Ralph Gants, and Judge Dina Fein, First Justice, Housing Court Department, Western Division and Special Advisor to the Trial Court for Access to Justice Initiatives, as featured speakers. Call Your Representative to Support Amendment 86 – and Help Us Dismantle the School-to-Prison Pipeline! Last week, the omnibus criminal justice reform bill (S.2200) passed the Senate with the provisions we support from H.328/S.876, An Act decriminalizing non-violent and verbal student misconduct. requiring that MOUs between schools and police departments include certain provisions clarifying that SROs should not be involved in routine disciplinary actions for non-violent school infractions and outlining data collection methods and responsibilities. But these life-saving provisions are not included in the House bill (H4011). Research shows that arrests of students for non-violent behavior disproportionately affect students of color and students with disabilities, and the impact can be devastating. A student who is arrested in school is three times more likely to drop out and is subsequently more likely to go to prison, earn less income, and rely more on public benefits. Representative Aaron Vega has filed Amendment 86 to include these critical provisions and representatives are debating amendments TODAY. Please take a minute NOW to call or email your representative and urge them to support Amendment 86! If the following representatives are yours, please join us in thanking them for co-sponsoring Amendment 86! These common-sense reforms would move schools away from unnecessary arrests and ensure school resource officers get training in child development, de-escalation techniques, and implicit bias. With your help, this will be a major step in keeping kids in class and out of the school-to-prison pipeline. Click here to find your representative’s contact information and call TODAY! https://massappleseed.org/wp-content/uploads/2018/01/ma-applseeed-longlogo-548x156.png 0 0 Admin2 https://massappleseed.org/wp-content/uploads/2018/01/ma-applseeed-longlogo-548x156.png Admin22017-11-13 21:20:322018-02-03 16:43:09Call Your Representative to Support Amendment 86 – and Help Us Dismantle the School-to-Prison Pipeline! Criminal Justice Reform Bill Passes the Senate and Includes Important Provisions to Protect Vulnerable Youth! Your tireless efforts have paid off! After intense debate last week, the omnibus criminal justice reform bill (S.2200) passed the Senate! Key provisions we support from H.328/S.876, An Act decriminalizing non-violent and verbal student misconduct were also included in the final Senate bill, which means we are one step closer to dismantling the school-to-prison-pipeline! Like suspensions and expulsions, arrests of students for non-violent behavior disproportionately affect students of color and students with disabilities. I want to thank you for fighting to preserve these vital sections in the final bill to keep at-risk kids safe and in school. The bill has passed the Senate and we expect it to be taken up by the House the week of November 13th. Stay tuned for advocacy opportunities in the House and in the meantime, be sure to call your Senator and thank them for protecting vulnerable youth. Click here to find your state Senator’s contact information. https://massappleseed.org/wp-content/uploads/2018/01/ma-applseeed-longlogo-548x156.png 0 0 Admin2 https://massappleseed.org/wp-content/uploads/2018/01/ma-applseeed-longlogo-548x156.png Admin22017-11-02 21:26:462018-02-03 16:46:43Criminal Justice Reform Bill Passes the Senate and Includes Important Provisions to Protect Vulnerable Youth! 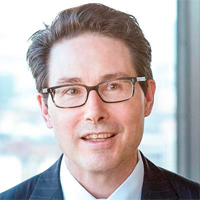 Boston, MA – Massachusetts Appleseed Center for Law and Justice welcomed Dr. Richard Bergin, Managing Director for Alix Partners, to its Board of Directors on October 4, 2017. MA Appleseed, a non-profit organization that advocates for systemic reform in areas such as education and access to justice, is pleased to have Dr. Bergin, an active and dynamic advocate, join the organization. Dr. Richard Bergin has over 20 years of experience in leading investigations and litigation consulting. He has led independent investigations into some of the world’s most prolific and complex antitrust, financial fraud and manipulation cases as well as investigations in more than 50 countries. 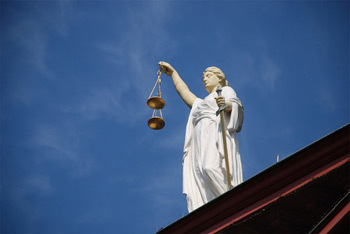 Dr. Bergin regularly serves as a litigation consultant, and he has testified as an expert witness in trials, at arbitrations, and before government agencies, including federal courts and state courts as well as the DOJ, SEC, CFTC, AAA, ICSID, ICC, UNCITRAL and various ad hoc arbitrations around the world. Prior to joining Alix Partners, Dr. Bergin was a Principal at KPMG for more than four years, advising companies facing investigations and disputes. Previously, he held senior roles at FTI Consulting, Navigant Consulting, and NERA Economic Consulting. Dr. Bergin has a doctorate in business administration and an MBA – both of them awarded with highest distinction from Harvard Business School, which he attended as a Fulbright Scholar. Massachusetts Appleseed’s mission is to promote equal rights and opportunities for Massachusetts’ residents by developing and advocating for systemic solutions to social justice issues. At Massachusetts Appleseed, we dedicate ourselves to remedying social injustices for at-risk and underserved children, youth, and adults. Working with volunteer lawyers, community partners, and others, we identify and address gaps in services and opportunities in areas such as education, homelessness, and the court system. Through in-depth research, consensus building, and community problem solving, we develop powerful solutions for reforming the systems and structures responsible. Our work seeks to level the playing field and transform communities. BREAKING: Amendments to Criminal Justice Reform Bill Would Eliminate Provisions Decriminalizing Non-Violent Student Behavior and Providing Guidance on the Proper Role of SROs! GOOD NEWS! The Senate Ways and Means Committee has released its version of the omnibus criminal justice reform bill (S.2185)! This version of the bill includes key provisions we support from H.328/S.876, An Act decriminalizing non-violent and verbal student misconduct. Section 174 of S2185 would decriminalize non-violent misconduct in schools by eliminating the crime of disturbing school assembly. outlines data collection methods and responsibilities. Like suspensions and expulsions, arrests of students for non-violent behavior disproportionately affect students of color and students with disabilities. Eliminating this practice is a crucial component of our work to disrupt the school-to-prison pipeline. Senator Tarr has proposed two amendments – Amendments 58 and 159 – that would ELIMINATE these provisions critical to keeping students safe. Amendment 58 proposes striking out Section 174 and Amendment 159 proposes striking out Section 13. As currently written, S2185 would ensure that traditional policing techniques are used only when necessary while establishing standards and accountability for police in schools. Join us in the fight to dismantle the school to prison pipeline – contact your state Senator and urge them to oppose these amendments! 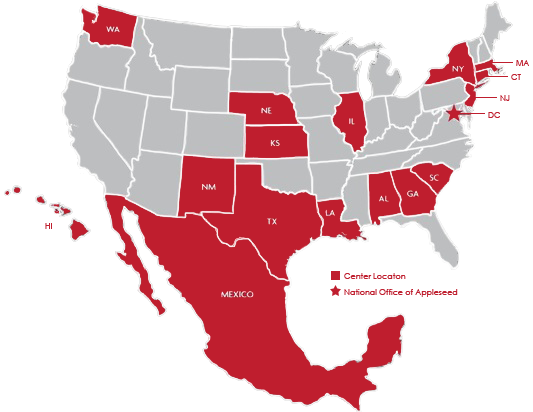 Click here to find contact information for your State Senators! Call or email them TODAY and ask them to OPPOSE these two amendments! This criminal justice reform bill has the potential to break down the school-to-prison-pipeline in Massachusetts, but that won’t happen without these provisions. The Senate will be debating the bill on Thursday. That means we have only two days to make sure these provisions remain in the bill. Help us defeat Senator Tarr’s amendments and keep kids in class! Don’t wait! Join us and call or email your Senators today to oppose Amendments 58 and 159! https://massappleseed.org/wp-content/uploads/2018/01/ma-applseeed-longlogo-548x156.png 0 0 Admin2 https://massappleseed.org/wp-content/uploads/2018/01/ma-applseeed-longlogo-548x156.png Admin22017-10-24 21:31:252018-02-03 16:50:39BREAKING: Amendments to Criminal Justice Reform Bill Would Eliminate Provisions Decriminalizing Non-Violent Student Behavior and Providing Guidance on the Proper Role of SROs! Budget Victory! MA Senate Pushes Through Funding for Homeless Youth! Thank you for standing up and speaking out in defense of homeless youth. You did it! Thanks to your tireless efforts, the Senate has overridden Governor Baker’s veto of funding for homeless youth! With an overwhelming vote of 35-2, the Senate restored $675,000 for housing and services for unaccompanied youth and young adults. Months ago, when Governor Baker eliminated line item 4000-0007 from the 2018 state budget, we pledged to not stop fighting until that funding was restored. I want to thank you for fighting with us. In the past few months, we have won many important legislative and budget battles that will impact low-income families and youth across the state, and none of it would have been possible without you! https://massappleseed.org/wp-content/uploads/2018/01/ma-applseeed-longlogo-548x156.png 0 0 Admin2 https://massappleseed.org/wp-content/uploads/2018/01/ma-applseeed-longlogo-548x156.png Admin22017-10-02 21:48:022018-02-03 16:55:19Budget Victory! MA Senate Pushes Through Funding for Homeless Youth! It’s hard to believe these draconian policies are still being used around the country in 2017. While some schools claim it is the only way to get families to pay up, these policies humiliate and stigmatize children and low-income families. Nearly half of all school districts use lunch shaming. Our friends at New Mexico Appleseed have been working tirelessly to challenge lunch shaming and ban it from their state, advocating for the rights of hungry children and low-income families. The central argument is, while lunch debt is a problem for schools, in no way should the children be left hungry, humiliated, and less likely to learn. Instead, school officials must work with the parents or guardians to come up with a solution and leave the children out of it. Thanks to support from both parties and the fierce advocacy of New Mexico Appleseed, Gov. Susana Martinez signed the Hunger-Free Students’ Bill of Rights this past April. The law applies to all schools – public, private, or religious – that receive federal subsidies for breakfast and lunch programs. Now the fight is going national, with bipartisan leadership unveiling federal legislation designed to outlaw lunch shaming and better ensure no student goes hungry, regardless of their ability to pay. Join us to end lunch shaming for good! Keep humiliation tactics out of schools! Sign your organization up to endorse this crucial federal legislation TODAY. Massachusetts Appleseed, along with many others, has signed on to endorse bills S.1064 and H.R.2401. Lunch shaming reminds us that we have a long way to go in our schools in ensuring equal treatment for all students. Be sure to check your email for more updates soon, and donate here to support our work at the state level in education and access to justice! Join us on October 11th to learn about our recent projects to expand Access to Justice and the status of our Keep Kids in Class project.